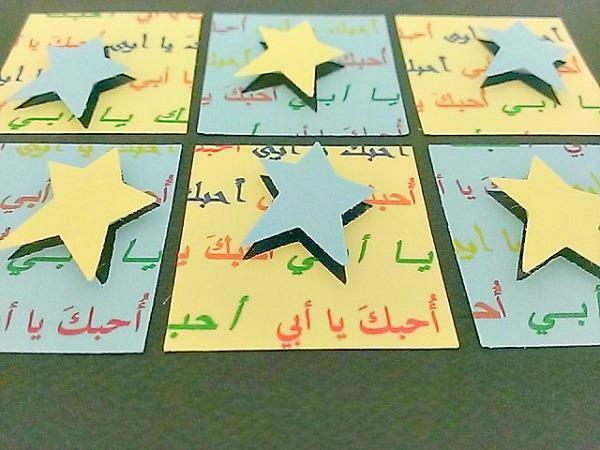 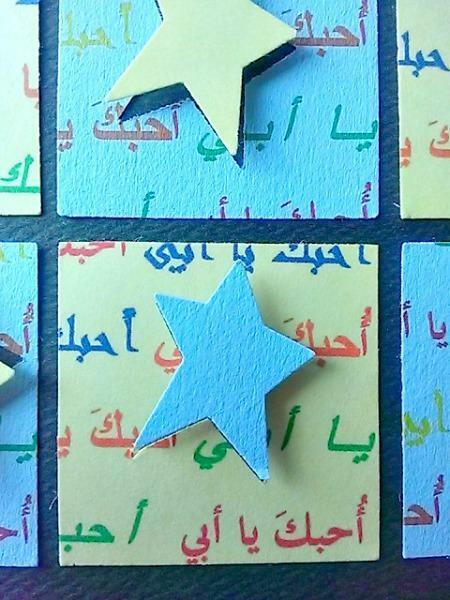 The writing on the back of these stars on this Arabic Father's Day card all say I Love You over and over again in three different fonts. 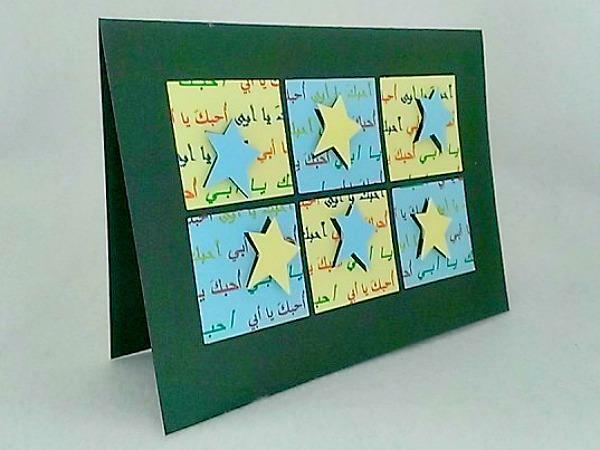 Stars were punched out of the I Love You squares and stars in contrasting colors were placed in the void. 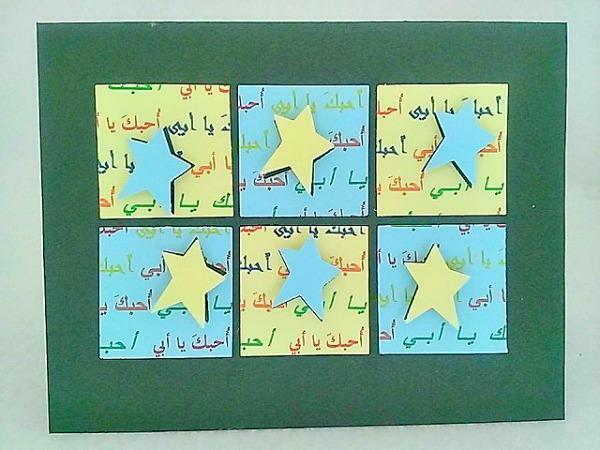 They were added with foam squares so they appear to be floating off the squares.